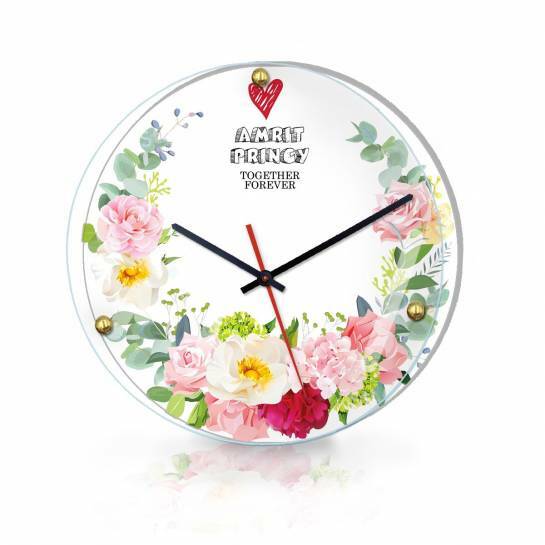 A romantic vintage theme wall clock for couples. The wooden clock can be customised with couple's name to make the product extra premium and personal. The raised transparent cover just adds to the beauty and protects the hands of clock.